I know, you’ve come here to read about best UTV tires, but before we do that, a short introduction in UTVs is a must. One of the fastest-growing segments in the vehicle market is UTVs (better known as side-by-side vehicles). The reason is pretty straightforward – they are inexpensive and very simple, but they can still offer excellent off-road capability and a lot of fun for the driver and the passengers. There is a large variety of models to choose from though and I can understand why some become dizzy when presented with all the options available. See, UTV vehicles are available as commercial vehicles that are only built to make things done, as two-passenger recreational off-road vehicles, four to six passengers all-terrain vehicles, and some are even used by the military as tactical all-terrain vehicles. In recent years UTV vehicles are even used in motorsport, like in the Dakar Rally for example, due to their excellent off-road abilities. When choosing a set of tires for a UTV vehicle, you first have to ask yourself what kind of driving are you into. Some tires are made for fast driving across the dunes, some are made for mud driving, while some of them even have some on-road abilities, such as pavement. Then, tire size also plays a big role here – there is a big difference between the rims used for commercial and racing UTVs. To help you with choosing the right tires for your UTV, I’ve created a Top 10 list of the best tires for UTV vehicles. If the list is not enough or you want to learn a bit more about these tires, there is also a buying guide down there, and of course some FAQs. Or as some would say, the definitive article about UTV tires. Let’s start, shall we? If you want the “crème de la crème” tires for your UTV vehicle, look no further than the BFGoodrich Baja T/A KR2. This tire is specifically designed to tackle every type of terrain and offers the ultimate of driving fun and safe driving in the wild. It is a radial tire, but don’t be put off by that. It is engineered to tackle the most demanding off-road conditions, including sharp rocks, sand, and mud. The radial design, on the other hand, means that this tire is lighter than bias-ply tires. In other words, your UTV will lose none of its performance, and the fuel economy can be even better than with the OEM tires. The BFGoodrich Baja T/A KR2 is exceptional on soft surfaces. Sand and mud are not a big deal for this tire. Traction is very good, while handling is precise and predictable. I also like the braking performance on soft terrain, a category where some other competitors often fall to their knees. The Baja T/A KR2 can also be used on rocky soil with great results across the board. I especially like how it handles these surfaces – it is responsive and provides the driver with an outstanding feel behind the steering wheel. All that performance is integrated with a body that can withstand a lot of abuse in most off-road conditions. Sure, this is not a tire for commercial vehicles that will transfer a lot of cargo, but for everyone else, it is durable enough. Users also report that it has very long treadlife, which is another plus for this tire. To be honest, when I first saw this tire (it’s BFGoodrich’s first foray into the UTV market), I knew it would offer excellent performance across the board, as with almost every other off-road tire from the manufacturer. However, I did expect a bit lower price to be honest. That said, every BFGoodrich tire equipped with the proprietary CoreGuardTM technology costs a bit more and if you want the best possible performance, it is absolutely worth the investment. The Maxxis BigHorn is sort of a legend in the ATV and UTV community, something the manufacturer is very proud of. And if you don’t believe the legends, why not believe the UTV manufacturers, who almost always use the BigHorn Radial as an OEM choice. The reason why they are so popular is that they offer predictable performance and excellent durability, while also being very light and comfortable. Okay, it is not the best option if you’re into mud or snow driving, but for every other surface, they are the ones to beat. 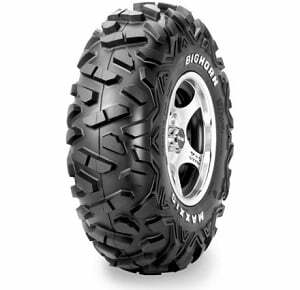 Equipped with a wide footprint and aggressive tread pattern, the BigHorn Radial can tackle any hard-packed terrain, dirt, and rock. And by “tackle” I don’t mean just good traction. I mean excellent cornering abilities, with precise steering input and very responsive handling. With a set of these tires, your UTV will be a proper off-road tool. They are also very good in the desert – up there with the best UTV tires in those conditions. That said, they are not the best option for soft and wet surfaces, such as mud or snow. They do work for slower driving, but there are better options available if you want to have the most fun in those conditions. 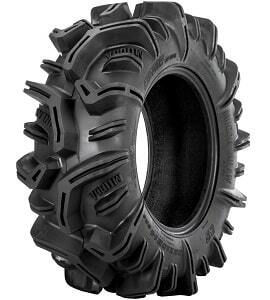 Even though it is a radial tire, tie BigHorn is very durable – another reason why UTV manufacturers use it as an OEM choice. The shoulder lugs protect the sidewalls and rims, the rubber is very resilient and should last you a long time, while the tread is designed so that it cleans itself from debris and rocks. The best thing about the lightweight radial construction is that despite the durability, you also get excellent ride quality. Venturing into the wild with a set of these UTV tires is not only fun but smooth and comfortable as well. The price you pay for a set of Maxxis BigHorn Radial is not the cheapest in the world, but for what they offer it’s a steal. Be sure that you find the right size for the front and back wheels and you’re in for some serious traction. 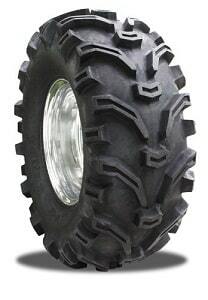 One of the most-loved tires in the ATV and UTV segment, the ITP Mud Lite offers excellent performance across the board. Responsive and precise, it is especially good for trail driving. UTV owners love what it offers on grass and gravel, but the best thing about the Mud Lite is that it can also be used on mud-terrain. You can’t say the same for most all-terrain tires made for UTV vehicles. All of this is achieved with the computer-aided design and engineering that ITP is proud of, and that gives it an edge over most competitors. In real-life scenarios, the ITP Mud Lite gives the driver a lot of confidence, even at the limit of grip. Traction is very good on both grass and gravel, with responsive handling that most off-road tires simply can’t achieve. Where the Mud Lite shines is in wet conditions. It is far from the best tire for mud-terrain driving, but it is the best when compared to other trail-driving tires. For most drivers (read: not racers), the Mud Lite offers outstanding drivability and safe performance. Interestingly, the Mud Lite holds its own even on the road, thanks to the lightweight construction. Your UTV will lose none of the performance and you might even get better gas mileage. The ITP Mud Lite is also one of the most durable UTV tires on the market. It is still a bias-ply tire rated at 6-ply, which means that it can withstand a lot of abuse in off-road conditions, while the extended-wear rubber compound means that it can withstand a lot of abuse on the road too. And it is not just me telling you this – a lot of UTV riders agree that this is one of the most long-lasting and durable tires. Compared to other UTV tires, the Mud Lite is also pretty inexpensive, especially for what it offers to the owner. Excellent performance across the board, durable and long-lasting construction, and budget level price. Definitely worth a look. 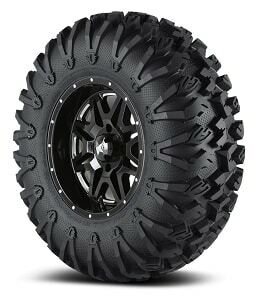 Another tire that’s a staple in the ATV and UTV community, the Kenda Bearclaw shows the manufacturer’s prowess for producing high-quality tires at lower price points that other premium competitors. As its name implies, the Bearclaw can give you traction on almost any surface, just like a bear would. It comes with an aggressive tread pattern that will certainly give sporty look to your UTV, but one that is also excellent at tackling mud and snow. Despite that, the Bearclaw K299 is still very good for trail riding – a great all-rounder as they say. Seriously, if you want a tire that will work in almost every condition, this one should be on your shortlist as well. The angled knobs will give you very good traction regardless of the surface, while the center lugs give surprisingly responsive handling and precise steering control. I found this tire to be very good in mud and snow – almost like a specialized mud or snow tire. The rubber compound is specifically designed to work in freezing temperatures, so the only thing you need when things get chilly is warm clothes. 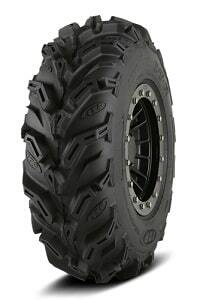 For on-road driving, I can think of a dozen better UTV tires than the Bearclaw K299 though. It is not bad, not by any means, but it’s not designed for highway use and you should never do that with this one. And on that note, why would you drive your UTV on the highway? Trail riding is a bit better though and you can genuinely use it on hard-packed surfaces, as long as they are not big rocks or very uneven terrain. On the bright side, the Bearclaw K299 is known to be one of the most durable tires in the UTV category. It has a bias-ply construction and 6-ply rating, or in other words, it can withstand even the hardest and most uneven off-road terrain without breaking a sweat. The casing is also extra-tough and puncture resistant, and on top of that, it has a built-in rim guard that will protect your rims from dings and dents. The price is also one of the advantages the Bearclaw has over its competitors, while also being available in many sizes to choose from. It’s no coincidence then that it is a bestseller in the UTV community. If your idea of a great time in the wild is driving your UTV on fast-paced “rally” sections, there is no better tire than the Kanati Mongrel. This is one of the most expensive tires for UTV vehicles you can buy, but for the performance, it offers it is absolutely worth every cent. Derived from motorsports, the Mongrel offers unparalleled levels of grip and traction, and it is also one of the most durable tires available for UTVs right now, period. The reason why it is so good for fast-paced driving is the radial construction and the 10-ply rating. This means that the tire is very light for better acceleration and top speed, while also being extremely durable on sections with a lot of rocks and uneven surface. With the Kanati Mongrel, you should only care about your driving technique, as it will never fail you – handling is unbelievably responsive, steering input is very precise, while traction levels are outstanding. Other than hard-packed terrain, the Mongrel is one of the best choices for driving on sand or dirt. And if that’s not enough, I think that this is the best road tire for UTVs right now. It offers very good grip for sporty driving, it is very quiet, especially for a 10-ply tire, and it is one of the most comfortable tires you can have on your UTV. Trust me, your UTV will feel like new after being treated with a set of these tires. That said, mud and snow driving are not its forte, but that’s expected from a tire that’s specifically designed for use on hard-packed surfaces, dirt, and sand. Despite it being a lightweight radial tire, the Mongrel is puncture-resistant and comes with a re-engineered carcass for increased durability. You will have thousands of trouble-free miles with a set of these UTV tires, easily. And yes, the price is much higher than other competitors, but if you’re serious about performance, I think it is absolutely worth the cost. All of the tires on this list have puncture resistance, which is very important when you drive your UTV in the wild. However, this doesn’t mean that they can’t be punctured – it means that it is harder to puncture them than it is with normal tires. For most UTV enthusiasts, this means that they should bring a spare tire so they can be certain that they can bring their UTV home. Not with the DWT Mojave Run Flat though! This is one of the few run-flat tires for UTV vehicles that not only offers unparalleled toughness but one that is also very good in the performance department. This is a tire that’s primarily made for fast driving on a hard-packed terrain. In those conditions, I find it to be very good in terms of traction and handling responsiveness, albeit not at the level of the UTV tires out there. However, for most drivers, the performance will be very close, with the added benefit of run-flat driving in case of a puncture. Performance on rocky terrain is also very good, but this tire is not at its best on sand or in the mud. On the other hand, on-road driving is very good. The best thing about the DWT Mojave Run Flat is that it offers all the performance with the peace of mind of run-flat tire. Even when punctured, this tire can be driven safely to a mechanic or home, something that most tires simply can’t do. And it is not just run-flat that’s impressive. The Mojave is 12-ply rated, with a premium rubber compound and extremely stiff sidewalls, that make it absolutely the toughest tire for UTVs right now. The price is also not very high for a run-flat tire – there are non-run-flat models that are more expensive. Sure, you may lose some performance, but for general drivers who seek only the thrill and don’t want to compete, the run-flat convenience might be very well worth the cost. EFX has been in the ATV/UTV tire segment for decades now and their whole experience in making them shows in the MotoClaw. 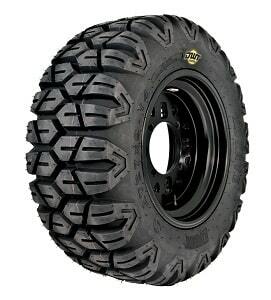 This is absolutely the best UTV tire for climbing rocks due to its “tough as nails” construction and incredibly strong rubber compound. Interestingly, it is a radial tire, which for some UTV owners may be off-putting, but trust me, the MotoClaw is one of the toughest and most durable UTV tires on the market right now. But you’re here because you’ve read that is has the best performance on rocky terrain. Trust me, if you drive mostly over rocks, smaller or bigger, there is no better tire out there. The unique non-directional tread design is perfectly suited for rocks. The lugs are also very strong, helping in the most demanding conditions, while the distinctive sidewall with additional lugs helps for excellent traction on surfaces with a lot of small rocks. Whatever the conditions, small or big rocks, the MotoClaw provides outstanding traction, responsive handling, and precise steering control. Thanks to its lightweight design it will also help with acceleration and top speed, and on top of that, your UTV will be more fuel-efficient. Due to the nature of its design, the MotoClaw is also very good on hard-packed terrain and sand, and it can even perform in light mud. It is not the best in those conditions but combined with the rocky terrain abilities, you can be sure that you have a tire that’s safe to use on your next trip to the mountains. The MotoClaw is 8-ply rated, which makes it one of the toughest and most durable tires for UTV vehicles. It is also puncture-resistance, and it can clean itself from rocks easily. The reason why the excellent MotoClaw is not higher on this list is only the price. It does offer motorsport levels of performance on rocky terrain and it is extremely durable, but it may be out of reach for some people. Tusk is a staple in the UTV community due to excellent quality, adequate performance, and reasonable prices. Their Terrabite model is one of the favorites of UTV drivers who use their vehicles in dirt, sand or rocks. There is a reason for that – the Terrabite Radial not only offers very good traction in those conditions, but it’s tough enough to sustain continuous driving on hard-packed terrain, and it even offers very good handling responsiveness. Even though it might not be on the level of the high-performance Kanati Mongrel, the Tusk Terrabite still offers exhilarating performance on hard-packed terrain. You can expect high levels of traction on both dirt and sand and very good traction on rocks. The handling in those conditions is responsive enough, and durability should also not be a concern. Even though it is a radial tire, the Terrabite is rated at 8-ply. This means that it can withstand almost everything you throw at it without breaking a sweat. It is also puncture resistant, which is not only expected but required for tires that are specifically designed to be driven on rocks, dirt or sand. Interestingly, the Terrabite is also DOT approved for driving on the road, streets and pavement, something that can’t be said for most off-road tires. The grip is surprisingly good here, while the tough construction gives good steering response and precise handling. Sadly, though, the Terrabite is nowhere near as good in mud. This is not a big downside, because nobody expects a tire made for hard-packed terrain to perform great in mud, but it’s safe to say that there are better UTV tires out there for those conditions. At the end of the day, you can’t argue too much when you take a look at the price. The Terrabite is not a cheap tire, not by any means, but it is cheaper than most competitors with similar performance. If your budget is strict, you will certainly not be disappointed with a set of Tusk Terrabite’s. Commercial UTV vehicles may not be as popular as those made for sporty off-road driving, but they are still used widely around the world. 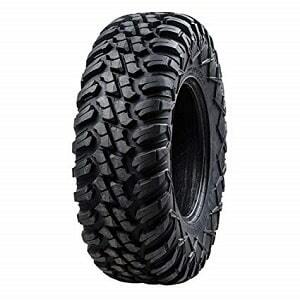 A good tire for a commercial UTV should have traction in almost every conceivable off-road condition, and it should be very durable as well. The AMS M1 Evil is a tire that fills both requirements with aplomb. Designed specifically with longevity in mind, the M1 Evil offers incredibly long treadlife, regardless of the surface, you are driving. The long-lasting compound can be driven thousands of miles, and the tread will still keep its shape and offer traction on almost every surface. It is tough as well – smaller versions have 6-ply, while the more massive versions come with an 8-ply rating. Great news for people who often haul cargo on their UTV, and for every commercial UTV driver out there. As expected from a tough tire, this one is made of natural rubber that is resistant to punctures, while the big sidewalls help to keep your rims out of the reach of rocks. The M1 Evil is also DOT approved for both on and off-road use, something that can’t be said about most of its competitors. And that shows in the real-life – performance in off-road conditions is very good, thanks to the 1-inch deep tread design, while on-road performance is reasonable due to the big contact patch. It is not the best in either situation, but it offers a combination of both that’s hard to beat. The price of the M1 Evil is not low though, especially for the bigger models. However, the treadlife is really exceptional and on the long run, it may prove to be cheaper. Sure, you will find cheaper UTV tires to buy, but certainly not to own. The first time you take a look at the Sedona Mudda Inlaw, you know that it is made for serious off-roading. The tread is so aggressive that it might scare some people, but everything it does is eating into the mud like nobody else. The lugs are not just deep, they are big and made to withstand a lot of abuse, and you can find some of them on the sidewall. It’s a specialized tire however and should not be driven on the road, even though it does offer adequate performance on the sand and on hard-packed terrain. Driving in the mud with a set of these UTV tires is so fun that you will forget about how dirty you are. There is a ton of traction from every wheel, excellent control in the corners, and even responsive steering input. The semi-directional tread is not only good for acceleration, but it is excellent in the corners. Try that with another tire. Performance on sand is also adequate, with good traction and cornering abilities, but there are better UTV tires for those conditions. Even though it is not rated for snow driving, the Mudda Inlaw can offer surprisingly good traction in snow. On hard-packed terrain, the handling is not as precise and responsive, but the tire is still drivable. However, on-road driving is another matter – in those conditions, the Sedona Mudda Inlaw is very limited and should not be driven hard due to imprecise handling and a loss of grip. Interestingly, even though it is primarily made for off-road driving, the Mudda Inlaw is a radial tire. This makes it lighter than bias-ply tires, but don’t for a moment think that it’s not tough. It is 8-ply rated – better than most tires in this category, and it has puncture resistance like the best out there. The tread is also self-cleaning, while the treadlife is good as far as an off-road tire can be. With all that said, the price is a bit high for a specialized tire – you really must need the outstanding mud-terrain performance in order to buy a set of these. If you do need it, then it is well worth the cost. What to Look for When Buying UTV Tires? By choosing a tire from the list above, I’m sure that you’ll get the long-lasting performance you need, as long as you buy tires according to the surfaces you drive your UTV on. However, some UTV drivers want to have more knowledge of the matter and want to understand why some tires are better than others. That’s why I’ve created this section, where we will talk about the types of UTV tires, how are they designed and why some of them will serve you much better. This category is very important for some drivers because there is a big difference in how radial and bias-ply tires are designed, and what they offer. 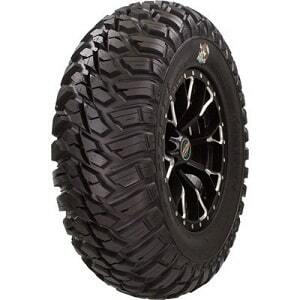 In order to know what type of tire you choose regarding design, you first need to ask yourself how are you going to use these UTV tires – what type of terrain (rocks, sand, mud, pavement...), how hard, and how much cargo you will haul. Radial tires are the newer technology, that saw the light of the day in the 1980s. The radial design is much lighter than bias-ply. For that reason alone, radial tires are mostly used in passenger vehicles (better performance and fuel economy). They also offer much better ride quality than their counterparts and handle better, and also have superior tread life. However, they are not as good in the toughness category. By design, radial tires are not as puncture resistant and have softer sidewalls that can’t withstand a lot of pressure, weight or uneven terrain. Bias-ply tires, on the other hand, are designed so that they have stiffer sidewalls. Thanks to that, they are much tougher and can withstand higher pressures, more weight and have better puncture resistance. On the other hand, they are heavier and for the driver, that means worse performance and fuel economy. They also don’t have the same treadlife as radial tires and are not as comfortable. With all that said, in recent years’ manufacturers have blurred the lines between radial and bias-ply tires. As you can see, most tires in the list above are radial tires (tough and puncture resistant), which speaks volumes for the advancement of technology in this area. 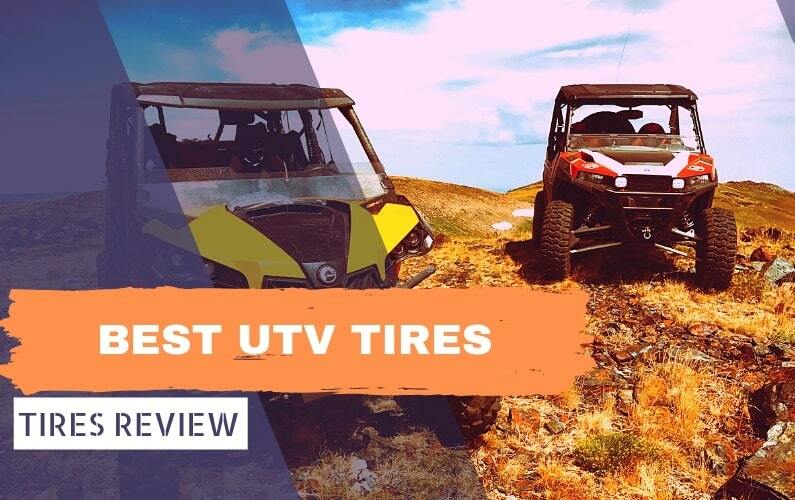 Flat or Round – as you can see from the list of the Top 10 tires for UTVs above, some of them have flat contact patch, while others have round contact patch. Generally, flat tires offer much better traction on every type of surface and are made for fast-paced driving. Round tires, on the other hand, offer much more comfortable ride, which may be very important for recreational UTV drivers. Why are UTV Tires Smaller in the Front? Even though most UTV vehicles are 4WD, almost every manufacturer uses wider tires in the back and narrower tires in the front. They do this in order to keep the back wheels glued to the ground (better traction), and make the front wheels easier to steer and more responsive. Are ATV and UTV Tires the Same? Most manufacturers design their tires as both ATV and UTV compatible. In other words, they make them available in many sizes (smaller for ATV and bigger for UTV vehicles> So yes, these tires are mostly the same. However, there are some specific models that will work only on ATV, or only on UTV vehicles. Do UTV Tires Need to be Balanced? UTV tires are mostly driven in conditions where balancing doesn’t play a big role (very uneven surfaces), but if you experience vibration while driving, you may need to balance them anyway. How Much Slime for UTV Tires? This varies greatly depending on the tire size. Please read the “how to use” part on the slime bottle carefully, as it should contain the appropriate quantity for most UTV tire sizes. 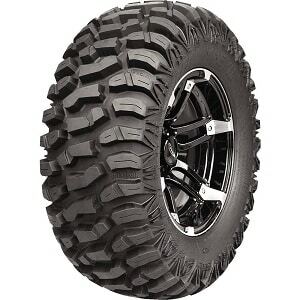 Choosing the best tire for your UTV is certainly not an easy task, especially given all the options available. That said, if you’ve read this article closely, I am sure you will know (almost) everything there is to know about UTV tires. 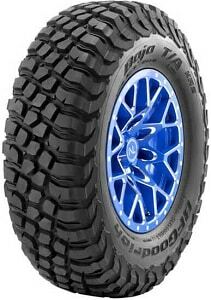 At the end of the day, the Top 10 list contains great tires for every UTV driver out there. Much more important for the future, always replace your tires when they lose their traction and other properties, and be sure that you inflate them to the correct pressure (according to the manufacturer) before going into the wild.